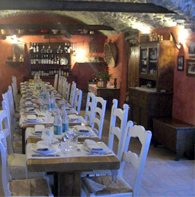 Agrifoglio offers its clients local Piedmontese dishes. 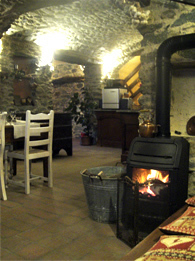 At the Agriturismo it is possible to eat meats, fruits and vegetables made by them, supplied by local farms or bought by the farming cooperative COALVI Terraviva associated. Appetizers, pasta, meat, vegetables, desserts, are prepared with love and care by Silvana and Roberto, with complete respect for local country and mountain traditions. In living rooms with barrel vaults in stone and on the veranda with visible old age beams, Giancarlo welcomes his clients with politeness and kindness. The wines offered, all local, are chosen with respect for simplicity and tradition. On the "caretta" or "cart", there is a wide selection of local cheeses both fresh and aged. Ideal for any occasion from a dinner for two to a ceremony (60 places to sit) or business lunches.